ATLANTA (January 24, 2017) – The college football season may be over, but the excitement about college football is still going strong in Atlanta. 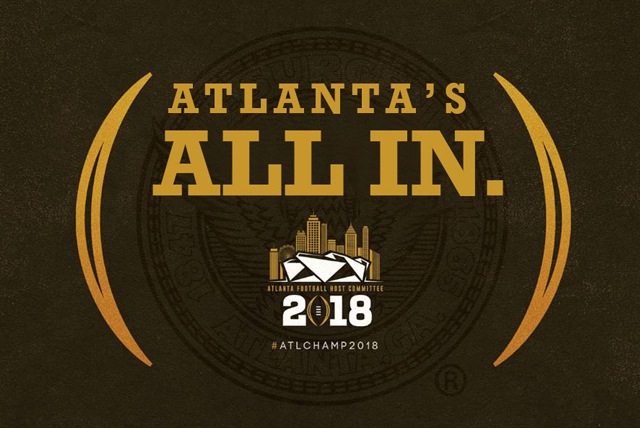 The Atlanta Football Host Committee (AFHC) just launched a year-long marketing and social media campaign to energize the community in preparation for the College Football Playoff National Championship on Monday, January 8, 2018. Today, during an unveiling in Centennial Olympic Park, the heart of Championship Campus, the AFHC revealed the “I’m In” marketing campaign. It will utilize both digital and vinyl billboards throughout the community and social media to feature various leaders, celebrities and behind-the-scenes employees who make hosting such a major sporting event possible. At a later date, an “I’m In” Snapchat filter will be released, where people can submit a selfie for a chance to be featured in the campaign. The marketing campaign will run through the week of the College Football Playoff National Championship on January 8, 2018, at Mercedes-Benz Stadium. For information on partnership opportunities with the AFHC, please visit http://www.atlchampgame.com/partners/. 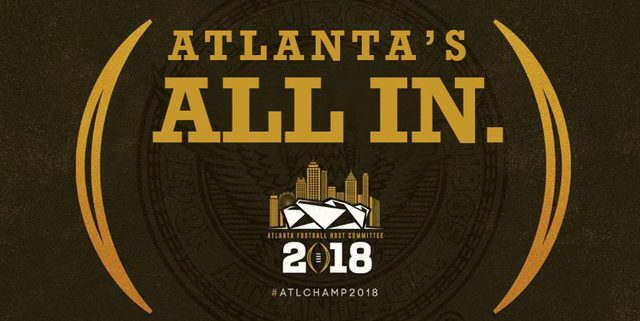 Formed in 2016, the Atlanta Football Host Committee (AFHC) serves as an extension of College Football Playoff administration in the local community. The organization is responsible for the planning and production of the 2018 College Football Playoff National Championship and accompanying fan events. The AFHC is comprised of local leaders in business, sports and tourism and its mission is to host a one-of-a-kind Championship experience for student-athletes, university representatives, media and college football fans. For more information, visit www.ATLChampGame.com.